Serve up the mulled wine! Let us celebrate the start of yule together! 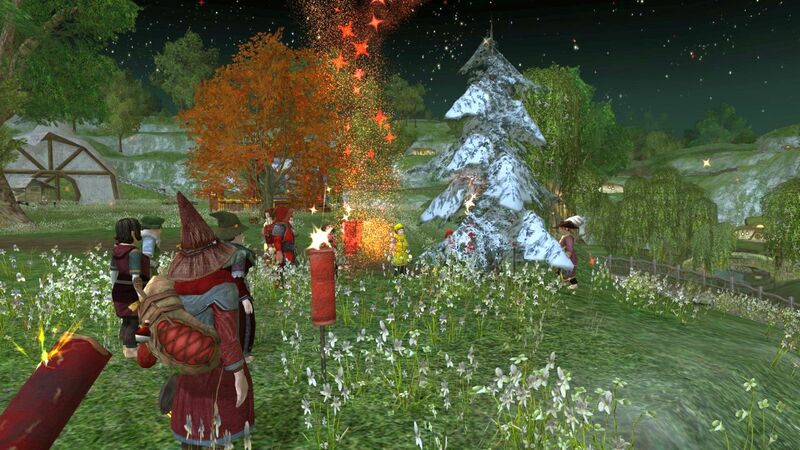 Yule is near, and what better way to celebrate than meet yer fellow hobbits and greet the festive season welcome? The Grand Order is happy ter invite our friends over to our kin hall Saturday December 15. We’ll put up our yule tree, have some mulled wine and enjoy some yule music! Rumours also have it that there will be a play performed: A rousing yule carol, starring none other than local grumpy hobbit Matzo! And a whole lot of others too. Yay! Depending on the progress, we may do some last-minute reshoots for the 2018 Hobbit yule video too. Mollywobbles and Wiberic like this. Grand party everyone! Lovely to see so many there! Mollywobbles, Pycella, Wildigard and 1 other person like this. by the way who is sitting on the top of that table with scrolls and texts (i don't know how to properly name this table)? Yeah. we definitely need to have tag a hobbit feature, i think it's quite possible to do. Maybe master Simbo can help us? Mollywobbles, Rubellita and Potty like this. who is sitting on the top of that table with scrolls and texts (i don't know how to properly name this table)? Where the rest of us were struggling with Poetical and memorising our lines, Anerra had the luxury of some cheat sheets on, what we called, the lectern (that high table). Others may call it the drum throne. Wildigard, Mollywobbles and Pycella like this. Wildigard and Rubellita like this. Mollywobbles and Wildigard like this. I'm sorry, Master Simbo, if my banter (that's what it was) made you worry about Poetical. No, it is a great tool! In fact, we persuaded other actors to take the step from Lyrical to Poetical and they were delighted. The struggling (if any) was mostly due to the script being very long. But then we put bookmarks in and it was a lot easier to handle. The possibility to "comment out" lines was also gratefully received. Pycella, Mollywobbles and Wildigard like this.